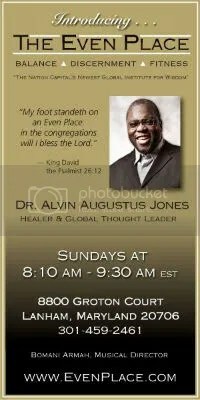 It was another great day at The Even Place with Dr. Alvin Jones. This is always my favorite part of the Sunday morning program, the interview with the author. This weeks guest is Dr. Gordon Livingston MD, West Point Graduate, Vietnam Veteran, Johns Hopkins alumni and author of 4 great books, including this weeks book “The Thing We Cannot Do”. In his book he so aptly notes that the most crippling power in today’s socket is fear. He gives great historical examples about how fear has controlled the lives of individuals and shaped the policies of government. This book becomes a great expose of fear and it’s pervasiveness, as well as highlighting examples of genuine courage. The fear of death, the fear of loneliness, xenophobia. We all deal with the these fears and more. Take a listen to our conversation, then come check us out next week as we interview Rohit Bhargava about his book “Likeonomics”. Reblogged this on Bomani D. Armah. EvenPlace.com and receive notifications of new posts by email.